When real estate prices are on the rise, it can be tempting to sell. 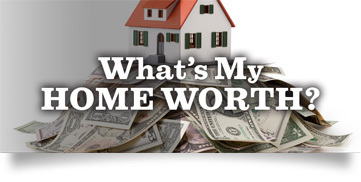 But should you sell your home? Before anything else, it is a good idea to sit down and clarify your motivations and draw up a basic time frame for the selling process. Give yourself a deadline. It’s true that houses tend to sell faster in spring and summer (in large part because families want to be settled before the new school year begins). And if your home is still sitting come Labor Day, think twice about keeping it on the market into the fall. By then a lot of people have made their choices, and if your house has been on the market for six months, people automatically assume something is wrong. Every market is different but winter may actually be a good option. There’s less competition from other sellers, as well as some pent-up demand after the holidays. Maybe you’ve outgrown your home and it’s too small after that second or third child or an elderly parent has moved in. If you’re in a home that’s too small for your immediate (and future) needs, it may be time to consider the jump to something a larger. Or, maybe you’ve recently joined the empty nester club? Perhaps your oldest child has headed off to college, and you’ve realized it’s time to pack up that extra bedroom and ditch some of that square footage. Selling now and downsizing has its perks — lower operating costs, less cleaning and maintenance, are just a few. Take advantage of a move that will enhance your new lifestyle. Interest rates could prompt the thought of selling if you’re going to require a mortgage on a new purchase. Rates are at historic lows and aren’t likely to go anywhere but north in the foreseeable future. Sell now, buy, and get in on those low rates for the long term. If you’re not ready, it’s best not to rush it. List when you need to. If you’re dealing with a job change, divorce, children, health issues, marriage, etc., and you really need to sell your current home right now (or don’t have the time or energy to get your home in market-ready shape), don’t try to “chase” the market in either direction. When you sell and subsequently buy another house, there’s good news: If you’re selling low, then you’ll be buying low. But if you’re selling high, well, then you’ll be buying high. It’s a wash. Come to terms with the current market and sell your home for its current fair-market value. When you move on, be sure to buy a house you can afford, both now and in the future! How can I increase my home’s curb appeal? There are many ways to add to your home’s curb appeal. Some of the most common and least expensive ways include: installing a new front door or painting your existing door in a nice fresh color; adding new door hardware to your front door to make it stand out; adding outdoor lighting along the pathway to your front door or porch; adding shutters around the windows of your home; giving your siding and trim a fresh coat of paint; tiling your doorstep and porch area and lastly building a nice walkway to your home’s entrance greatly improves curb appeal and makes your home that much more inviting. If you’re thinking of selling your home, getting the most out of your investment should be high on your list of priorities. Let’s focus on five great ways to increase the value of your home. The first thing, is clean up the home and clear out the clutter. De-cluttering and depersonalizing is vital to the process of selling your home. Potential buyers will have a difficult time picturing themselves in your home if it is filled with family photos and other personal effects. Your home needs to look its best and be presented in the best possible light – figuratively and literally. Before hosting an open house, remember to open curtains and blinds because natural light is just as important as a well staged home to making the home feel bigger. We all know now that up-to-date kitchens are typically the number one thing on the wants list for home buyers. This should tell you that it is very important to have the kitchen in good shape before selling. This doesn’t mean you’ll need to spend thousands of dollars on a new kitchen before listing your home. Focus on having the kitchen fully functional. Fix any leaky faucets, loose light fixtures or burn marks on the counter tops. Most kitchens just need a general spruce up including painting the walls, replacing old cabinet hardware, a new light fixture and maybe some new curtains to make the space feel fresh and modern. Next on most home buyers wants list are nice, clean bathrooms. 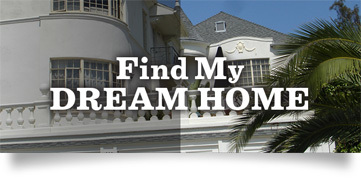 Buyers are looking for a home that is clean and well maintained. This is especially important when it comes to the bathrooms. Simple improvements like replacing old caulking and cleaning up dirty grout lines can go a long way. Installing new light fixtures and replacing old hardware as well as a new mirror can really make the space look brighter and more appealing. Adding new efficient toilets can also be a smart upgrade, improving the look of the home and saving water. A fresh coat of paint is the easiest and quickest way to transform a room. Now, your entire home probably won’t require being repainted before putting it on the market. High traffic rooms typically will see the biggest benefit from a new coat of paint. Kitchens and bathrooms are the top two candidates. Make sure to shy away from bright colors. Home buyers will have a hard time envisioning a room with such bright colors. It’s best to stick with neutral colors such as different shades of white and cool grays. Those colors work well with most furniture and will help buyers see the potential of the space. Spruce up the exterior to boost your home’s curb appeal. A 2012 Texas A&M survey found that curb appeal increases sales prices by up to 17%. Begin by mowing the lawn and trimming and edging pathways and driveways. Sustainability and low maintenance are the top trends for residential landscape projects, according to the 2015 Residential Landscape Architecture Trends Survey, so you might add simple native plants. Make minor repairs like replacing cracked siding boards, filling in mortar joints if you have a brickwork and patching stucco cracks. How about the roof and the front door? Perspective buyers always make sure to take a look at the roof to see what condition it is in. A new (or new-ish) roof shows buyers that the house has been maintained well. As for the front door, a fresh coat of paint can brighten it up and make the entrance of your home feel more inviting. What are the best upgrades to sell a house? Let’s take a look at five of the best upgrades to sell your home. First, focus on the basic requirements…your home’s mechanical systems. The furnace, air conditioning, plumbing and roof should top your list. Buyers aren’t going to care about a beautiful master suite if the roof is leaking. So take care of these things before shifting focus to adding upgrades that increase the perceived value of your home. Once the necessary repairs are completed, the next place to turn is the kitchen. Kitchens are what the sell the home to most buyers. Having a great layout along with modern, energy-efficient appliances and beautiful lighting can make your home really stand out among the competition. Inexpensive ways to achieve this include a fresh coat of paint, refacing old cabinets, installing new counter tops and replacing an old faucet with a new, modern hands-free one. If your kitchen is really that outdated and in poor condition, it may be time to consider a minor kitchen renovation. Most minor renovations can be completed for under $20,000 and yield up to about a 75% return on your investment. That investment could be what impresses buyers to make an offer on your home. Next on the list would be the bathrooms. Buyers are looking for a sanctuary or oasis. If your bathroom doesn’t give that feeling, it may be time for some upgrades. Some of the easier things to consider replacing is the lighting, new caulking and grout, replacing the old vanity and updating to a new mirror. Doing these upgrades along with a fresh coat of paint can dramatically increase the feeling of your bathroom. It should feel like a getaway. A bathroom remodel doesn’t yield as high a return as a kitchen remodel but will certainly put your home high on the list of potential buyers. We’ve all heard about how important curb appeal is and may even have seen TV shows based around it. Well, there’s a reason, curb appeal matters. Make sure to take good care of your trees, plants, shrubs and keep the lawn mowed and looking nice. Easy and inexpensive ways to increase your home’s curb appeal include adding pathway lighting, adding a stone border around your driveway, painting your front door and adding new flower beds. Landscaping, new front doors and garages can return a hefty payback on your investment. It’s worth spending a little to get the exterior of your home looking just as beautiful as the interior. Lastly, and this is an important one, invest in a home stager along with professional real estate photography. No matter how well the improvements to your home have turned out, you may need a little help showing them off in the right way. A home staging expert knows how to carefully arrange furniture, art and decor to draw in potential buyers. They’re also good at letting you know what things to work on in your home. Be sure to research into the home stager’s credentials and experience to make certain that you are choosing the correct professional. A well staged home can give you the extra edge over the competition especially in a saturated market where homes are not selling as fast. If you focus on these five things, you shouldn’t have anything to worry about when it comes time to sell your home. Should I sell my house before buying a new one?